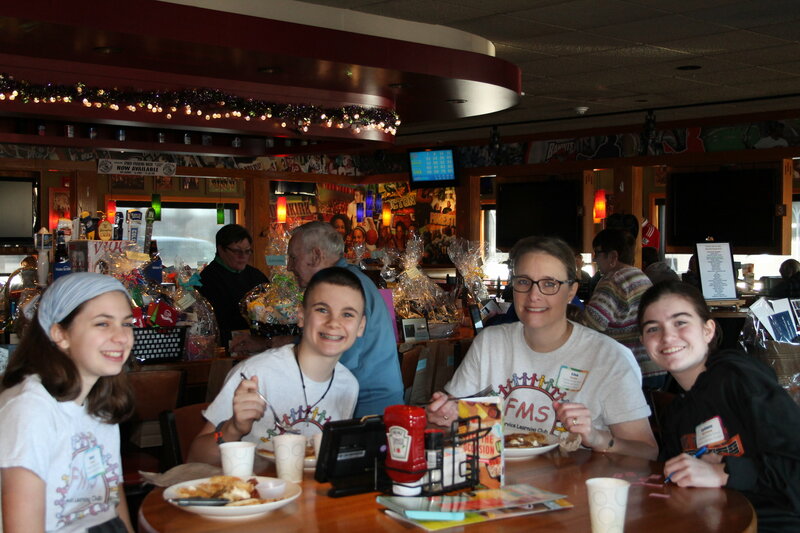 Thank you for reading our March 2019 Newsletter! Donor Services: You can create a better tomorrow...today! Note: Click on photos in the newsletter to enlarge. You can create a better tomorrow, today! 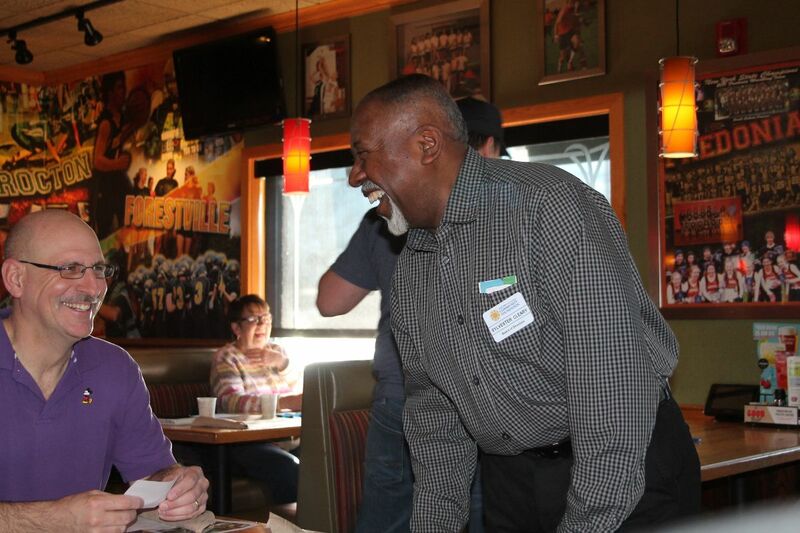 Promoting and managing charitable endowments for the benefit of the community is a major component of our work. Professional, qualified and experienced financial managers manage our entire portfolio. The managers are overseen by an Investment Committee who subsequently advises the Board of Directors. We strictly adhere to a comprehensive Investment and Spending Policy. Because of these factors, our investment returns have consistently ranked near the top of our peer group. It is our business to understand and evaluate the needs of the communities in northern Chautauqua County and share our knowledge with donors and the community. We keep you up to date via our newsletters and make personalized efforts to keep you informed about grantmaking opportunities. Our staff makes it easy to establish or add to any of our 400+ funds, and we offer planned gift choices. We also make it easy to stay informed about the grantmaking from community benefit funds. Demonstrating our commitment to accountability, transparency and excellence, we have earned and maintain the prestigious National Standards for U.S. Community Foundations Seal. We are here to help you accomplish your charitable goals and welcome your visits, phone calls, letters and emails. Contact our Executive Director Diane Hannum at 716-366-4892 or dhannum@nccfoundation.org. 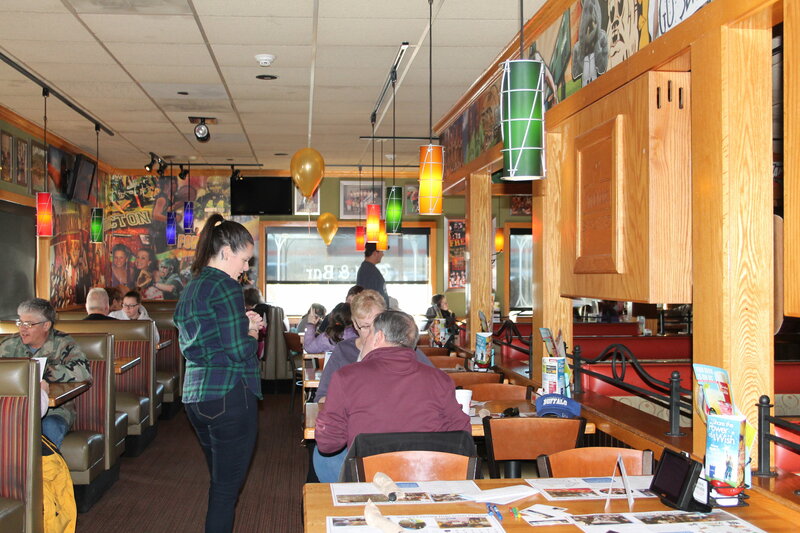 Our 2019 Applebee’s Flapjack Breakfast and Basket Raffle Fundraiser was a record-breaking event! 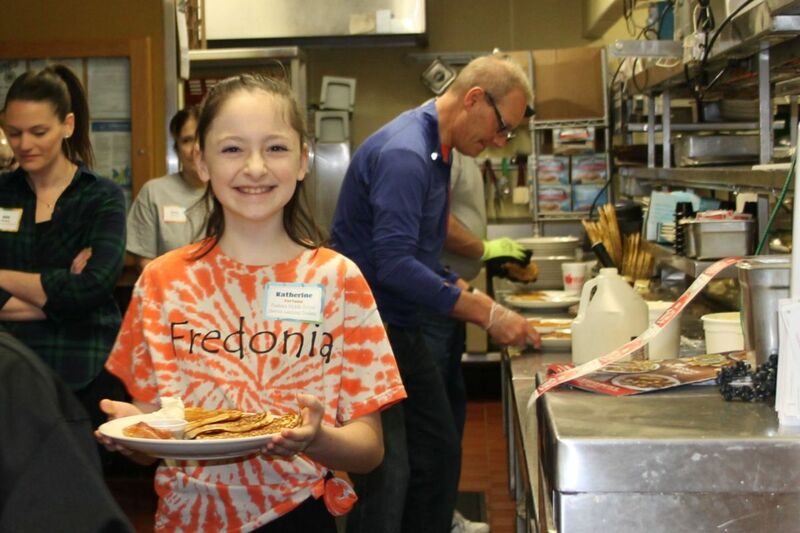 Volunteers served over 200 plates of flapjacks. We also had an overwhelming response to our basket raffle. Over 220 tickets were purchased with the hopes of winning one of our 43 baskets. 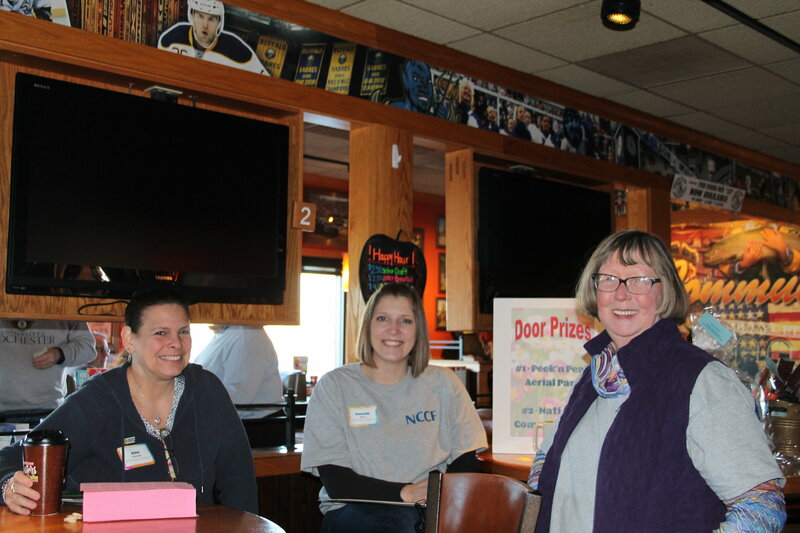 This year's breakfast raised over $2,400 for the NCCF's Service Learning Mini-Grant Program. A big thank you to our volunteers that included board members, voting memberd and friends: Helen Baran, Michael Bobseine, Kathy Brinkman, Peter Clark, Sylvester Cleary, Kitty Crow, Nancy Adams Fry, Danielle Marx, Alex Murphy, Matt Murphy, Michelle Paden, Gina Paradis, and David Travis. 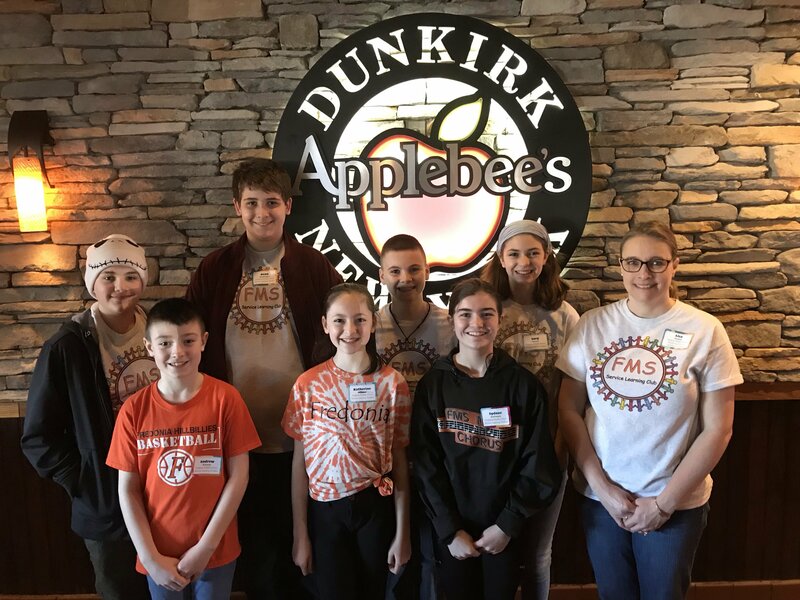 A special thank you to the students from Fredonia Middle School’s Service Learning Club. left to right: Jack Tuccio, Andrew Kinney, Dean Hemenger, Katherine Fortna, Andrew Cowan, Sydnee Hoffman, Lucy Prevet, advisor Lisa Forbes (not pictured: Cooper Stenger). 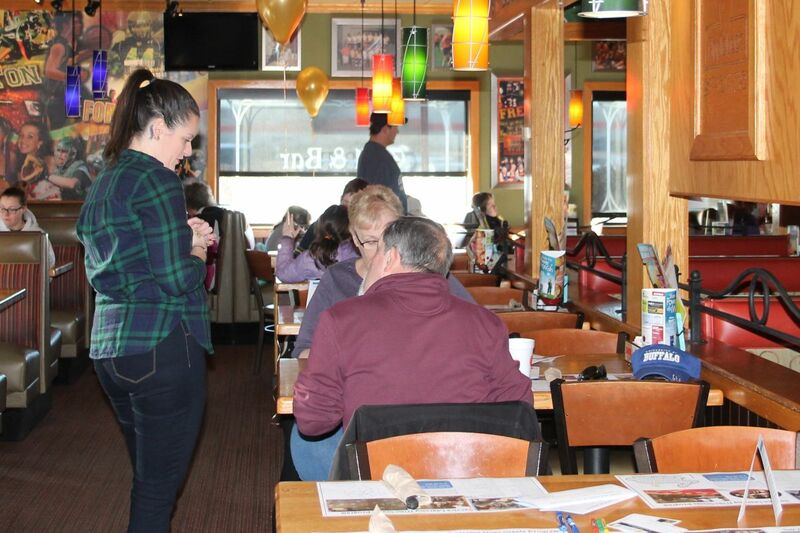 The winner of the morning's Be a Philanthropist contest was Nicole Dobek. She directed her $100 grant to the Lakeshore Humane Society. Congratulations to Nicole and Lakeshore Humane Society. We hope you enjoyed the breakfast - now enjoy the photos. Please put our tentative date on your calendar - March 21st. You won't want to miss it! June 13, 2019 - Save this date! We have joined the Chautauqua Region Community Foundation for Give Big CHQ taking place on Thursday, June 13, 2019. Nonprofits from throughout Chautauqua County will be participating in this 24-hour fundraising event. 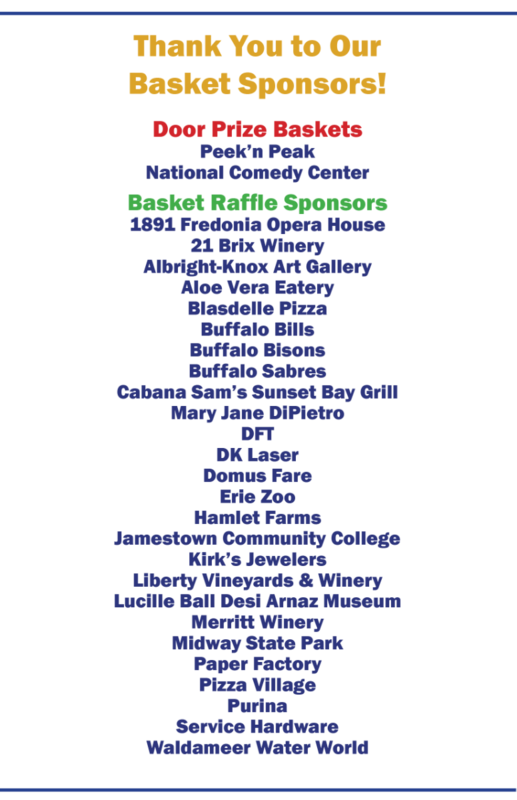 Each will be raising funds for important projects which support the well-being of Chautauqua County. 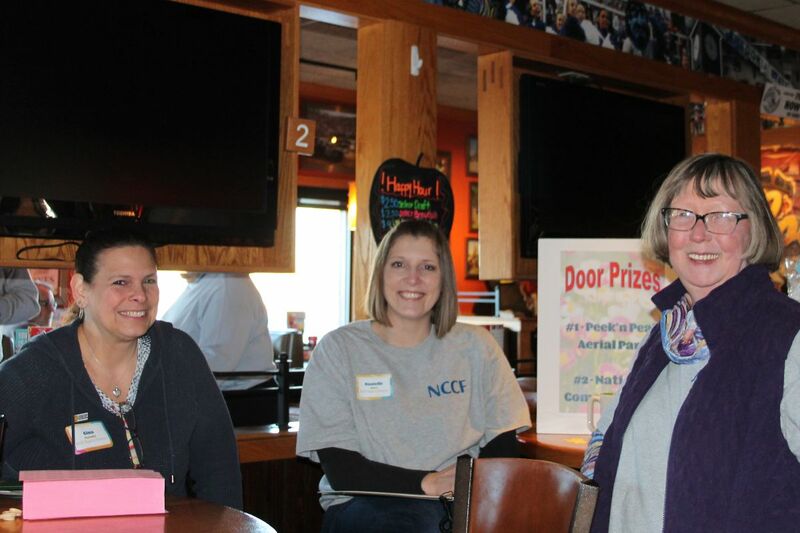 Registration for nonprofit organizations opened on March 4 and will close May 16. Many have already signed up and are ready to go! Check out Give Big CHQ to find organizations to support. Organizations will be registering through May 16. Please keep checking back. And, if you don't see your favorite organization on the list, please encourage them to participate. The final list will be ready to go on May 17. 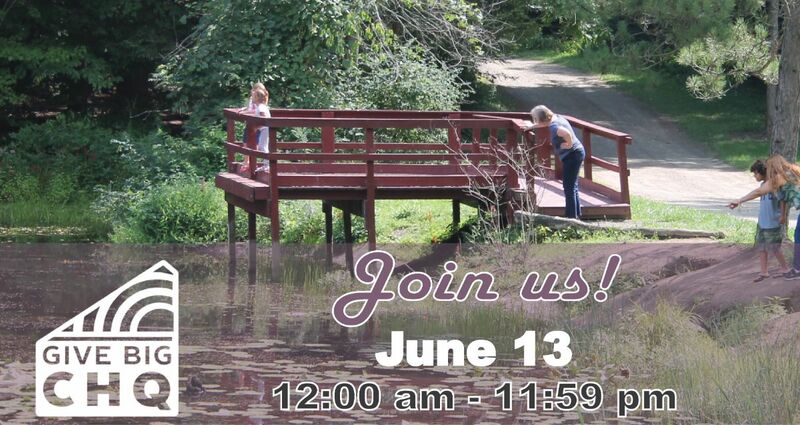 On June 13, visit the site and pledge your support! Remember to share social media posts and encourage others to support the causes important to you. You can even join in the fun by creating your own campaign to support your favorite organization. To do so, visit their Give Big CHQ page and click on FUNDRAISE! If you would like more information please contact Ida Lord at ilord@nccfoundation.org or 716-366-4892. Meet Gina Paradis, President of the NCCF'S Board of Directors. Gina joined the board of directors in 2012 and served as vice president from 2015 to 2017. In June of 2017, she assumed the role of president. 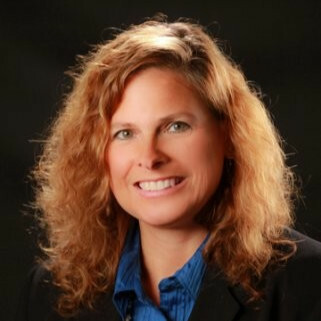 Currently, Gina is the Executive Director for the Chautauqua County Land Bank Corporation; a nonprofit, public authority focused on strategies for addressing issues of vacancy and blight in our county. With a bachelors degree in communications and marketing from Ithaca College, Gina started her career in marketing and sales in the hotel industry. In 2001, she took on the nearly 10-year challenge as the Seneca Nation of Indians' Economic Development & Tourism Division Manager followed by two years as a consultant with iKoss Consulting. In 2011, Gina began her commitment with the NCCF's Local Economic Development Initiation serving on both the Executive Committee and as the Chair of the Communications Committee. She continues to bring her unique insight to conversations happening in communities all over northern Chautauqua County. There is no doubt that Gina is committed to this region's economic success and the revitalization of our community. Visit our website, Scholarship Homepage, or contact your local school for information on these scholarships and the many other NCCF scholarships available to high school and adult students. You may also contact our Scholarship Coordinator, Victoria Howell at 716-366-4892 or e-mail vhowell@nccfoundation.org. June 17 - NCCF's Annual Meeting and presentation of the George B. Weaver Jr. Footprints Award, JCC North Training Center, 4:00 p.m.
Be sure to share our newsletter! Copyright © 2019 Northern Chautauqua Community Foundation, All rights reserved.